Are you ready to ditch the diets that have failed you? Do you struggle with nagging cravings that sabotage your healthy eating? Do you want more energy to enjoy activities with your family? Do you need some motivation and guidance to take that next step towardgetting healthy again? If you answered yes to any of these questions, then my 21-day Fall Detox is right for you. Starts Soon – check back for details! Clean up your eating habits, clean out the toxins, lose the cravings, lose the weight and feel vibrant, energized and glowing in just 21 days! Need some external motivation to stay on trackThen my 21-Day Natural Detox Cleanse is for you! If you don’t address inflammation by eliminating hidden food allergens or sensitivities and by eating an anti-inflammatory diet, you will never succeed at effective and permanent weight loss. What’s the difference between a Diet and a Detox? In a diet, you often find that you are counting every calorie you eat, eating strange combinations of foods and becoming frustrated. At the end of the day, you find yourself hungry and feeling deprived and lethargic. This 21-Day Natural Detox Cleanse program isn’t about starving yourself, fasting, juicing, or taking lots of supplements. It is about eating nutritious whole foods that naturally cleanse your body, removing sources of food sensitivities, reducing cravings and reducing inflammation and digestive problems. Eating foods your body is sensitive to creates inflammation in your body.In this natural detox cleanse you will identify hidden food sensitivities. I’ve developed a program that will find what foods work best to provide you optimum energy, kickstart changes in your body, and reduce your waistline. This program is also about removing toxins from your body. Toxins are stored in fat cells. The more toxins stored in your body, the more fat your body needs to hold on to. Once you remove the toxins, your body will be able to release excess weight. I will take you step-by-step through a simple natural detox cleanse that will make a huge difference in how you feel and look – in just 21 days! Will I really see results in just 21 days? When you eat foods that aren’t right for your body, you may feel bloated, sluggish and lethargic. The 21-Day Detox Program gives you the results you are looking for because you will be removing foods that cause inflammation in the body, like bloating. By removing inflammatory foods, the cells in your body will stop holding onto fat. What results can I expect from this 21-Day Detox? Reduce inflammation and digestive problems, which is the major cause of bloating and many illnesses and disease. Identify any hidden food sensitivities that may be causing you to hold onto excess weight. Discover which foods best fuel your body, so you are ready to take on each day with renewed energy! Kickstart your metabolism and increase fat-burning to release excess weight. Reduce cravings for foods that sabotage your healthy eating and weight loss.Reduce stress. Cleansing your body for 21 days will have a powerful impact on your emotional state. As stress melts away, your metabolism will be able to function optimally. Lose an average of 3-5 pounds. Look slim in that new pair of jeans! Transition into a healthy lifestyle you can live with, and leave those old habits behind. Detox is NOT a dirty word! It’s about letting go of what doesn’t serve your body anymore (emotionally and physically) and reclaiming your power! A complete detox guide so you know what to do and when. This natural detox cleanse provides options for both first-time cleansers and advanced cleansers so you can make this detox work for you. In this one on one session we will talk about what the right next step is for you so that you can extend the benefits of the detox. Will I be starving on this program? No! You may experience slight hunger the first two days of the cleanse, but you can always add in a snack from the meal plans I have provided you. The meal plans are packed with amazing recipes that will likely become favorites of yours, even after the cleanse. Is this a juice cleanse? Will I only be drinking liquids? No, this 21-day natural detox cleanse program is whole food-based and is meant to gently and naturally cleanse your body. The meals are well-rounded and nutritious, including several smoothies which add naturally detoxifying fruits and vegetables to your meal plan. Will this program help me lose weight? While weight loss isn’t the sole focus of this cleanse, it often does occur. Excess weight is often caused by overindulging in foods that are nutrient-poor and unsatisfying and by eating foods which we are sensitive to that cause inflammation. 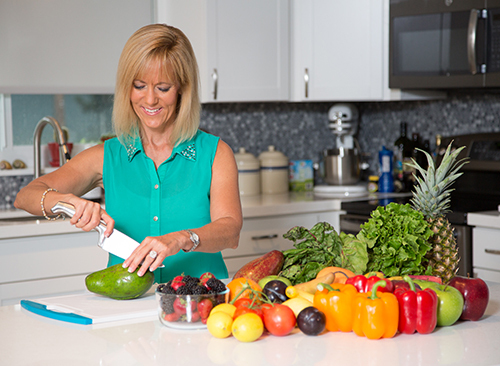 During this program, you’ll be enjoying nutrient-dense foods that provide balance and satiety and aid proper digestive function, all of which promote healthy weight. What kind of support will I receive during the cleanse? In addition to the Detox Guide, Daily Protocol, Meal Plans and Recipes, you will be invited to join a closed Facebook forum where you can interact with me and with fellow cleansers to help answer your questions and provide the encouragement and support you need to stay on track. Can I still exercise during this cleanse? Yes, and you are encouraged to do so! Exercise supports the detoxification process and helps to provide energy. Can I participate if I’m pregnant or nursing? Generally speaking, this 21-day natural detox cleanse is safe for most people. However, if you are pregnant or breastfeeding, or have any other medical concerns, you should always consult your medical health care professional before starting this or any new eating or health program. This program does not provide medical advice nor is not a substitute for professional medical care.